Beijing Film Academy is the cradle of China film talent and currently the only institution specialized in film in China higher education. It has high reputation in the field of film and cultural art both in China and worldwide and is the largest film academy in Asia. Through 56 years’ development, it has built up a scientific cinematic specialties system and advanced film professional fostering system which can offer diploma, bachelor, master, and PhD degrees. Today, BFA is a worldwide well known cinematic higher education institute with advanced cinematic teaching facilities, comprehensive specialties, experienced faculty, and leading innovation and academic research results. Beijing Film Academy is a full-time, higher professional school of film and art. Its forerunner is the Performance Art Institution of the Film Bureau of the Ministry of Culture, which was founded in May 1950, and changed its name to the Film School of the Film Bureau of the Ministry of Culture in July 1951 and Beijing Film School in March 1953. The school was finally renamed the Beijing Film Academy on June 1, 1956. The Youth Studio of the Beijing Film Academy was founded in 1979 and has produced a number of remarkable works in past 20 years. Such numbers include: Come Fly With Me, Neighbors, A Girl From Hunan, The Story of Qiuju, Black Stallion, Red Cherry, King of Masks and The Days Without a Hero. 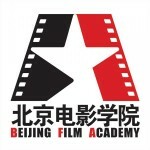 The Beijing Film Academy was absorbed by the association of the world's major film and television schools, CILECT (Centre International de Liaison des Ecoles de Cinéma et de Télévision), as a member university in 1984 and was elected as a council member. In June 1991, the academy held the Movie and TV Play Training Seminar of the Asian and the Pacific Region. The seminar approved the establishment of a movie and TV-play training center at the Beijing Film Academy. Beijing Film Academy, as the largest film academy in Asia, was founded in the 1950s, which has enjoyed high prestige in the circle of film education. It features a strong faculty, comprehensive disciplines, orderly teaching procedures, which provide BFA with a basis of cultivating talents in film production, management, and theory. A large number of excellent film professionals have recently won international acclaims in major international film festivals. At the backdrop of film internationalization and ethnic diversification, Beijing Film Academy, as a solely established institution of higher learning, has attracted a large batch of overseas students from over 50 countries and regions, who devote themselves to film industry. The development of overseas student education promotes the cultural communication between our country and other country. BFA has established good relation with art institutes in America, Russia, France, German, Italy, Korea, and Japan. BFA offers a comprehensive set of departments,schools and research institutes, such as culture, film directing, cinematography, film recording, drawing, management, film shooting, film technology, and performing school, film shooting school, animation and international exchange school, film technology research institute, and film research institute. All the above mentioned majors provide bachelor, master programs, and also short term training programs. Besides, BFA also has set up PH.D programs. As to course design, 213 courses are oriented toward undergraduates, 280 toward postgraduates. Chinese languages courses are offered in international school, which fall into three categories, primary, intermediated and advanced categories. Students can choose the category suitable for their own Chinese level. Mean well, BFA give overseas students an opportunity to study film languages in Chinese, which lays a good basis for them to continue their film majors.